My Pets Carnival is a one of a kind family friendly event that has something for all animal lovers. The pets carnival will showcase various pet products in the market, social activities focused on pets and their well-being as well as the aim to create awareness on strays and to promote the love for animals in general! This carnival is not just for pet owners, everyone is welcome to join the fun even if you do not have a pet. In fact, you can even pick up a pet before you head home, there will be an adoption drive. My Pets Carnival 2017 is collabroting with one utama and prodcut sponsored by Taro Chats, Pets Lover Centre, 88 Pets Mart and Baddogz Jin Studio. The event also appointed two Actor celebrities Mr. Hafiz Bahari and Mr. Johnson Law as the official ambassadors as well as the Petite Beauty Queen Miss Subashini Ravichandreni. 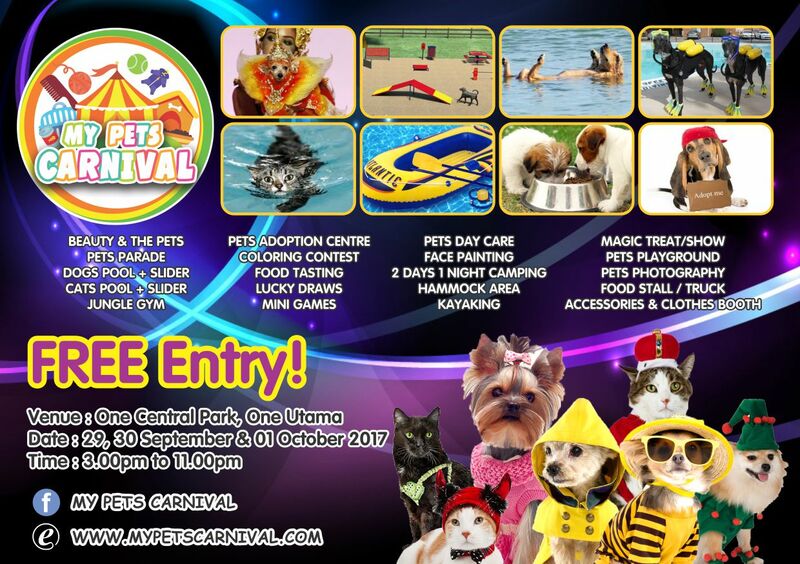 My Pets Carnival 2017 runs from 29th September 2017 till the 1st October 2017 at One Central Park @ 1 Utama, Bandar Utama and the best thing is there will be no enterance fees! Be sure to bring your family and friends for this exciting event! An innovative, adventurous and tremendous fun for furry kids and their owners under a safe and controlled environment. Pet owners will be enjoying a massive 70-meter long and 6-meter wide of water slide. The sliding lane and landing spot for cats and dogs will be separated. Take a dip with your cats and dogs in the pool. If your furry kids are still in training, life jackets will be available for rent. Dogs and cats will be seperated in two different pools. Owners are encouraged to dress in the same theme, color, or any other forms of matching costumes with their furry kids, and stand a chance to winprizes. 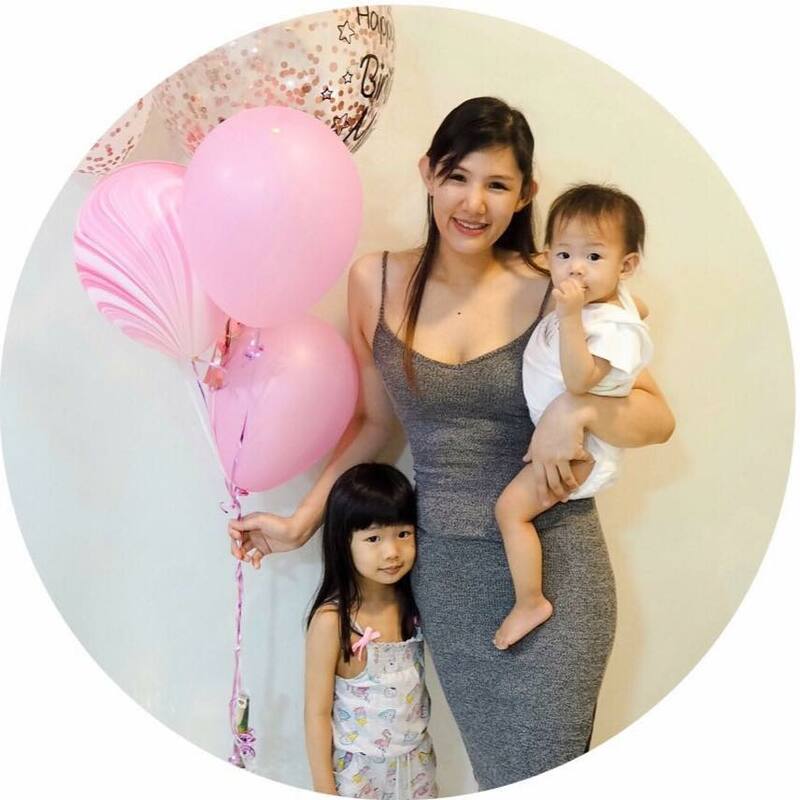 Witness how much beautiful petite women love their furry kids. As they wil be appearing on stage as they perform their catwalk or their walk-with-cat. If your furry kids are adventourous, get them into hammock and watch the skies together. It is the best place to spend time with them. Free to rides and in a safe enviroment! On 30th Sept till 1st October, families and their pets can also choose to camp overnight under the starts in a tent, or go kayaking with their pets in the lake. My pets carnival will devote a large part of its booth to NGOs in support of non-profitable groups who are involved in general animal's welfare. They hope that through these stands they are able to bring betterment for the stray issues, as we advocate the spirit of caring and compassion through the platform, for animals from all walk of life. Share with your pets what LED has to offer at night, it might not be new to you but certainly will be for your furry kids. Fun fair for your family, only this time your pets are welcomed to join. There will also be a lucky draw with prizes. These custom-made items are designed to decorate the Carnival in the park. Besides Pets booth and pets items for sales, there will be other booths at the carnival as well! Immerse yourself and shop all the way from furry kids items to human products. I am not an animal person. But I do adore them from far. Gosh! nice carnival. The dog look super kawaii! I remember last time when I got to the pet fiesta. I am having so much fun, seeing so many cute and rare animals. Sounds like a fun pack event for fur pets and owners. I don't have a dog but I really like the idea of promoting healthy and fun activities for animals to play. I would love to attend this carnival. Over three days, I am sure I can make it to at least one day!? Can't wait to go to this carnival.